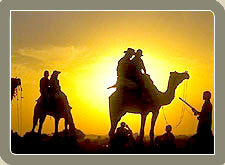 Enjoy your Rajasthan tours in the land of sand dunes, grand Rajasthan palaces and majestic forts. Rest at exotic and luxurious palaces hotels on your Rajasthan tours and experience the luxury of being treated like an emperor. Travel through historic cities of Rajasthan and hear heroic tales of Rajput deeds on your Rajasthan tour. 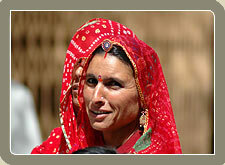 Listen to the songs of days gone by and be amazed by the beauty of the arts and crafts of Rajasthan. 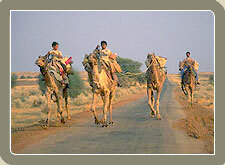 The state of Rajasthan is also known for its rich flora and fauna. There are several wildlife parks and sanctuaries in this state. Exploring wildlife parks and sanctuaries of the state provides a truly a delightful experience. Ride a camel across the Thar Desert, or an elephant up to Amber fort, see a magnificent tiger in the forests of Ranthambore. Experience a vacation in royal style, on your Rajasthan holiday tour. Places Covered : Jaipur - Shekhawati Region - Mandawa - Bikaner - Jaipur. Places Covered : Jaipur - Kota - Jaipur. 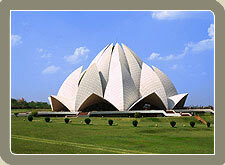 Places Covered : Delhi - Agra - Jaipur - Delhi. Places Covered : Jaipur - Pushkar - Jodhpur - Jaipur. Places Covered : Jaipur - Sawai Madhopur - Ranthambhore - Jaipur. Places Covered : Delhi - Corbett - Nainital - Mukteshwar - Ranthambhore - Bharatpur - Agra - Umaria - Bandhavgarh - Kanha - Jabalpur - Delhi. Places Covered : Delhi - Agra - Samode - Jaipur - Udaipur.